The eyes are the windows of the soul and every window looks better when it has window dressings on it. One way that many people choose to dress up their eyes is with eye makeup. It can take many years to become a skilled at applying eye makeup. However, you can benefit from the tips that others have learned from their years of applying eye makeup. 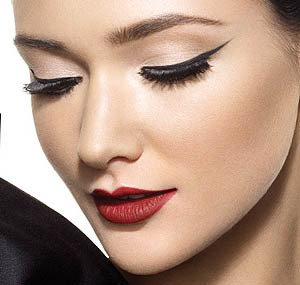 Cat eye make up is the hot eye make up to give you attractive look. It is also best when you want to go to party or dating. It help you to appear more eye catching. You can also enhance your beauty with Cat Eye Makeup.so if you want to become a superstar inspired look then necessity learns how to do a Perfect ideal Cat Eye Makeup. For creating this look first apply eyeliner to your lash lines carefully. Remember that eyeliner is kept at the outer corner of eyes while creating this look.Put on white eye shadow on the inner corner for rendering an open and illuminating effect to the eyes. Then cover the outer corner of your eyes with grayish or silver eye shadow. 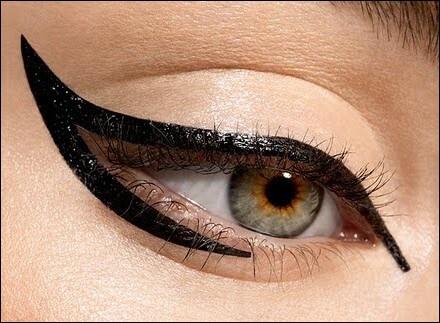 Finish the makeup with the application of black mascara to lashes. Apply red eyeliner by the side of your upper and lower lash line and use a red eye shadow on the eye covers. Increase your eye make up guide by using darker shade of red on the external corner.